Are there more health applications like the Chemical Maze? The Chemical Maze – Complete Edition is belongs to a family of Apps targeted to the individual needs. The family of Apps are Asthma Maze, Allergy Maze, Food Additive Maze and Cosmetic Ingredients Maze. Are there any more editions in the making? 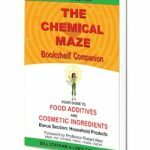 Bill Statham the author of the Chemical Maze is constantly researching new information about Food Additives and Cosmetic Ingredients from around the world as it comes to hand. This research is compiled and released in subsequent editions of the book and Apps. 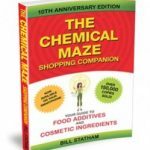 Bill Statham the author of the best selling book the Chemical Maze and the content author of the Chemical Maze App suite is available for media interviews by posting a question on the contact form. For general question please review the FAQ’s (Frequently Asked Questions) before posting any question on the contact form.